NASCAR is unique from other sports in that it engages its fans as part of the Hall of Fame induction process. Shell and Pennzoil wanted to demonstrate their support for Team Penske owner Roger Penske with the hashtag #VoteForTheCaptain displayed on the #22 Shell-Pennzoil Ford Fusion decklid and TV panel during the NASCAR event at Richmond Raceway on April 21st. Following the race activation, media efforts and paid social media support, the NASCAR Hall of Fame fan voting period ended on May 21st. 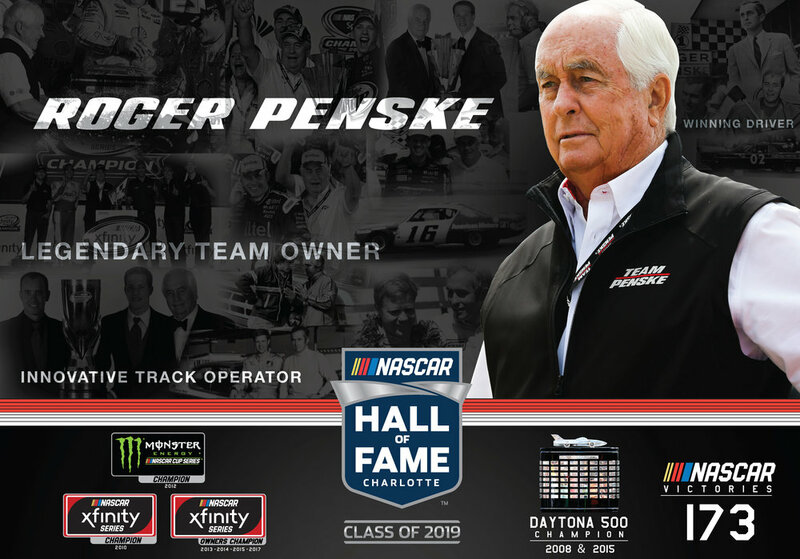 The final results were announced on Wednesday, May 23rd and Roger Penske was one of five nominees selected to the 2019 HOF class. We celebrated with a congratulatory post on May 24th – also with paid support with high engagement by fans and followers. Mike Bagley from SiriusXM interviews Joey Logano ahead of the race to learn more about the significance behind #VoteForTheCaptain.